Traces of habitation have been dated as long ago as 55,000 years. There was also a Neanderthal skeleton found that is about 40,000 years old. It served as a shelter during the Neolithic age as well as bronze. 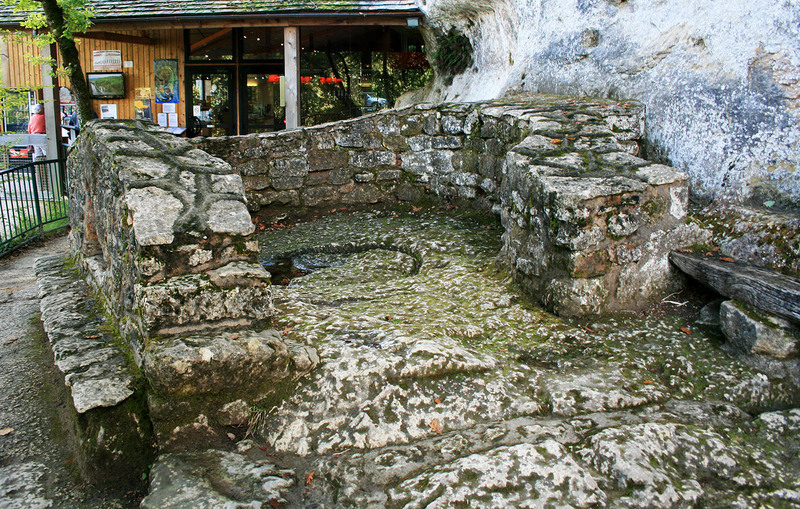 Remains from the Gallo-Roman era of the first century have also been found. Among the relics are engravings of a Madonna and a fish as evidence of early Christians. During the Hundred Years War (1337 – 1453) it served as a fortress against the English. In the 1500’s the village fortress was occupied by the Protestants. In 1588, the Catholic French king recommends to Henry III the complete destruction of the structures and fortifications.